A velvety matte 4-in-1 Foundation Stick with buildable medium-to-full coverage that allows you to look fabulous from all angles—360-degree complexion perfection. A captivating, creamy 4-in-1 Foundation Stick that’s formulated with age-defying Ceretin® Complex and skin-nourishing Energy Complex to conceal, contour and highlight. The results: brightening of uneven skin tone, supple hydration, reduction in dullness and the look of pores and protection against environmental stressors such as skin fatigue and signs of aging. Eye-catching, sleek octagonal stick design. Just pop it in your bag and go. Choose from 24 creamy, flattering shades that offer beautiful, medium to full, stay-true coverage for a natural look that’s perfect for all skin types. Use the 4-in-1 Foundation Stick to contour by swiping it across your jawline, the sides of the temples and the hollows of your cheekbones. To use as a highlighter, apply the stick to the top of your cheekbones and the center of your forehead, nose, and chin. Simply blend into skin with a brush or sponge as you add layers for your desired contoured or highlighted look. Great coverage! I’ve been looking for a foundation with great coverage and that would last all day and finally found it with pur!!! Good product for light coverage! Feels like I’m wearing nothing! It also provides a light to medium coverage. When putting it on though, it is a little hard to blend. Works great with the 4-in-1 powder. In love with 4 in 1 foundation. Just as awesome as the other products! Very light in the way it feels on your face. Blends well and lasts all day! Great makeup stick and very convenient. I use it over anything else. It stays put and blends wonderfully. The foundation stic spreads easily using a beauty blender! I purchased the same shade (light tan) as I did in the pressed foundation and it looks great worn together or just using the stick! Glides on easily for soft blendable coverage. Stays on all day. I’m very picky when it comes to foundation, but I really liked it! I’ve only used it a couple times since buying it, so far I like it a lot! It’s definitely worth trying! I’m very picky when it comes to foundation. This was nice & goes on well after using the primer! LOVE LOVE LOVE! Perfect buildable foundation with great matching. I use this daily and it still looks good after a full work day if I use setting spray. Works into skin very well and easy application. Great coverage. Applies evenly. A perfect shade for me! I finally found a foundation that blends perfect with my skin. It's full coverage but not heavy and buildable. I hate this! I’d return them, but I can’t find the receipt. It’s very grainy and gave my skin a pinkish look. So disappointed! The idea of stick foundation sounded much less messy than liquid or loose powder. Don’t recommend for anyone! Great foundation for mature dry skin. It looks very natural and covers what I want to cover. It does run dark. Another great new Pur product!!! very smooth going on works great under my 4 in 1 for extra coverage of redmess and blemishes! Will teoeder again in the future. I really like this. It’s really great for me because I have trouble with brown spots and can carrry this with me for touch ups. I like how easy it is to apply and how well it covers without feeling too heavy. Finally! A stick foudation that works for me. I'm super pleased that it was so easy to color match, in the first place. Then it was a nice surprise that the foundation applied smoothly and blended out like a breeze. It plays nicely with other cream and powder products. That it is easy to drop in a purse or travel bag is icing on the top. Love the easy application and smooth finish. I am use to using a stick makeup and eagerly awaited the PUR purchase. unfortunately, I found the PUR product did not smooth over my face as effortlessly as ,for example, the similar Lancome or Shiseido products. PUR stick makeup seems almost grainy. It does not leave a really smooth finish. I really wanted to like this along with the idea of stick foundation, but it was a little too cakey and smudgy for my liking. I have a lot of oiliness going on and I’m acne prone so I felt like the appearance of my troubled skin was enhanced when I wore this. I will say that the available shades are natural and varied. 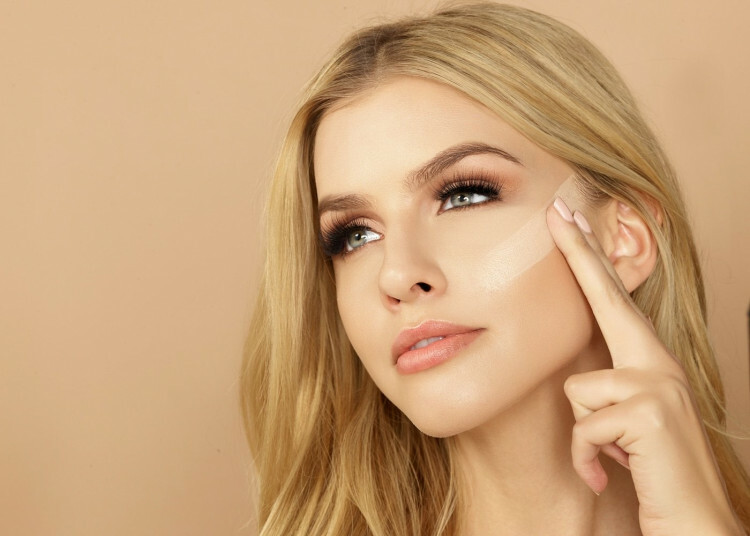 This is probably a foundation best suited for normal, less problematic skin types because a full-coverage look wouldn’t be necessary to where too much product needs to be applied. I have the 4-in-1 pressed powder, the liquid version, and the lighter serum version and I recently tried this one. Of all the ones I've tried from PUR, this one has the best coverage, lasts the longest and is easiest to apply. The only reason I didn't give it 5 stars is because it does get a little shiny throughout the day. Overall I really like this product and will definitely buy it again! This product is fantastic for travel. Throw it in your carry on and go. It’s so nice to have the huge range of colours to choose from. So many companies don’t have a wide range of yellow/gold undertones. I chose two colours one for winter and one for summer. Super blendable especially when used with a bit of moisturizer. Very nice coverage and finish. A little goes a long way! This has a very orange tint to it. Definitely not yellow undertones. I like this product. It goes on nice, and covers well. I love this foundation! The color matched perfectly and I can build it up to the coverage I need. I would definitely recommend this foundation. This really works for under the eyes. Times when I am really tired, this product hides the dark circles. I thought the color was a little light and the texture of the stick was a bit gritty. I was expecting something a lot creamy. Don’t get me wrong though I use this foundation almost everyday and can warm it up with bronzer and blush, but will be using something else once I use this one up. Love PÜR cosmetics though! I loved this foundation! A little goes a loong way! The first time I applied it I added too much but i was still able to blend it out and make it look really natural. Shade match was great. I had never used a foundation stick before and after watching it being used on the Instagram stories with ease, I decided to try it out. Some of the other comments mentioned it feeling "gritty". I haven't experienced that at all. It glides on and blends in very easily. The first time I didn't use a setting powder, so my face felt sticky/oily. A decent/inexpensive setting powder easily fixed the issue and made my face very soft. I got the color light, which I think has a bit too much yellow/orange for my cool undertones, but I'm able to blend it out enough to get rid of the noticeable difference. The next time I will get porcelain blush, since I have pink undertones. This foundation gives me an airbrushed look. I like it pretty well. I wish they had my color in the liquid foundation which I loved but this is a pretty good replacement. I won’t lie, I was skeptical of this as I’ve only used the powder. This is my FAVORITE!! You just swipe some on forehead cheeks chin and blend. I really like the feel. It’s not heavy or cakey. I will definitely be using from now on. I REALLY wanted to like this product, especially with how expensive it is. I have tried it alone and mixed with a different stick foundation. It is Very gritty when you apply it. It has full coverage which would be great if it wasn't too gritty. The first time I used it I hated how it looked and had to wash it off. So a week later I thought I would try it again with another brand of stick foundation. When I drew on lines with the other foundation it was smooth but when I drew lines on with this right next to it it was very gritty. So I guess this goes in the discard pile. I also want to mention that the container feels like very cheep plastic. I expected more from PUR. But the silver color and design is very beautiful sitting around. I love Pur Cosmetics. 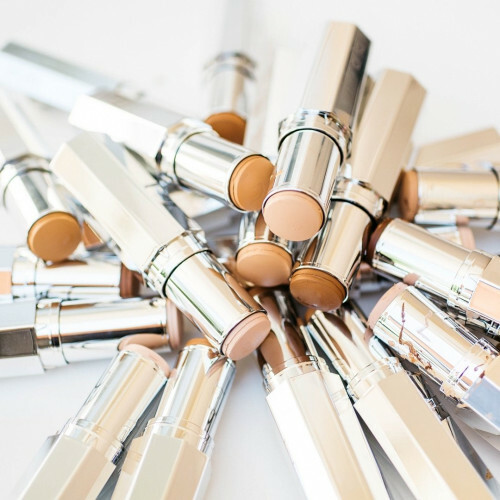 The foundation stick is so easy to use for applying full face coverage as well as a contour and highlight application. My Pur 4-in-1 Foundation Stick in Porcelain is a dream come true in a stick, and all it takes is a few well placed swipes (I can stretch this beauty like a dream) of this along with the use of my Micheal Todd SonicBlend Makeup Brush to get a beautiful flawless light coverage that looks amazing or I can add in just a few more swipes, and I have a flawless medium coverage that's not cakey at all, it is just simply flawless! Easy to use. Good coverage. I really like this foundation. It’s not full coverage unless you put at least 2 layers on. It easily blends and the color is very natural. This is the first foundation stick I have ever tried and was a little nervous. I ordered one for myself and my sister, we have very different skin types. I love that this product gives me enough coverage to conceal the redness in my skin without looking thick and cakey. By far my favorite foundation that I've tried. Worth every penny, will be recommending to friends and repurchasing! 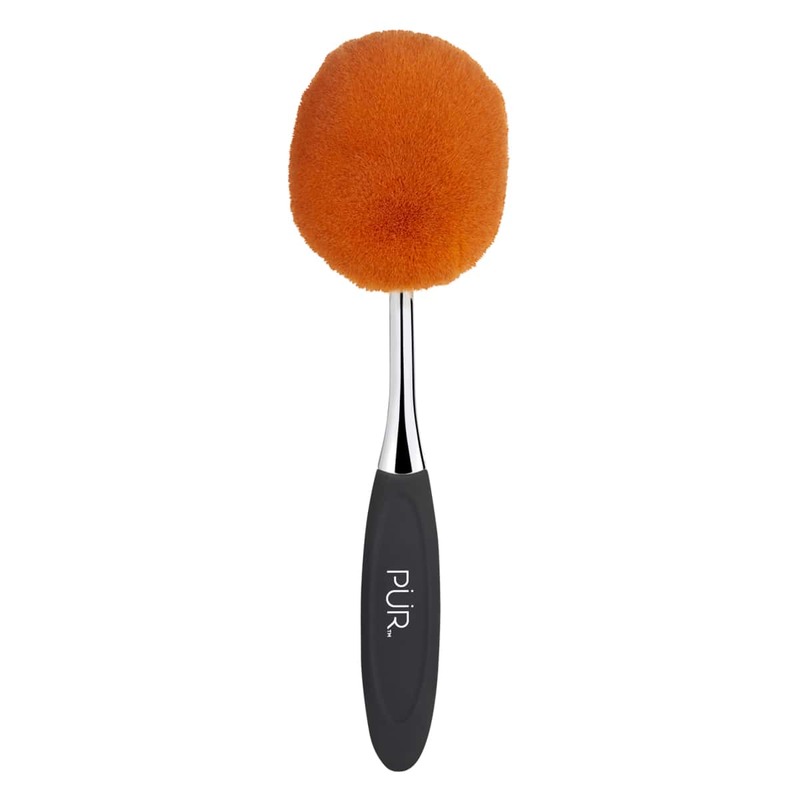 Love this silky, soft and light easy to use stick! Best concealer I've tried yet. Concealed and healed. Love it. Will definitely order again. I absolutely love this foundation. It’s medium coverage that you can definitely build up. And it makes my skin look flawless. Sleek look and very manageable to wear in the heat. No streaks, impressed with the new look. Great coverage with a matte finish. Just wish it was more long lasting with its wear. I am not a fan of this product. I preferred the 4 in 1 liquid foundation which I guess is not coming back. I found this product to be gritty and drying on the skin. Does not have the coverage the liquid had. I was purchasing the blush medium but this is much lighter and looks chalky on the skin. The liquid foundation I could wear with or without the powder but this needs the powder for any amount of coverage. Why not offer both this and the 4 in 1 liquid foundation?